Four Chambers Press is so excited to celebrate their 5th anniversary, and they’d like to invite everyone to celebrate with them at their launch party on Saturday, November 18! The party will take place from 7pm to 10pm at the Hive (2222 N 16th St, Phoenix, AZ 85006). Issue 05 features poetry and prose from a list of fantastic contributors: Eloisa Amezcua, Kristin Berger, Justin Bigos, Carl Boon, Marianne Botos, Shevaun Brannigan, Jefferson Carter, Alana de Hinojosa, Ryan Evans, Troy Farah, Joshua Gage, Sarah Gzemski, Todd Hawkins, Giancarlo Huapaya transl. Ilana Luna, Jabari Jawan, Alyssa Jewell, Diane Martini Richard, Alysse McCanna, Elizabeth McNeil, Jessica Mehta, Nicole Miyashiro, Greg Moore, Natasha Murdock, Emily Price, Sara Sams, Erin Stalcup, Sharon Suzuki-Martinez, and Elijah Tubbs. For more information, check out the event’s Facebook page. Today we are excited to share that past contributor Kelle Groom has recently released her book Spill. The collection of poems has already received high praise from poet David Rivard, who says, “When I finished reading this urgent, restorative book, I wanted to turn to Kelle Groom — because it felt as if she were really there — and say, ‘Thank you for the honor of letting me stand inside this so-large heart while the world went on spinning in its unforgiving, totally forgivable way. '” Spill is available for purchase through Anhinga Press here. Read four poems by Kelle Groom in Issue 5 of Superstition Review here. Hey everybody! We have some great news today that’s been some time in the making: past contributor Anthony Varallo, featured in the Fiction section of our 5th issue, has a new short story collection titled Everyone Was There, out now from Elixir Press. You can read the title story of the collection here, and when you’re finished, go ahead and grab the rest of the collection at this link here. Everyone Was There was the recipient of the Elixir Press 2016 Fiction Award, and we here at Superstition Review could not be any happier than to have been there along the way to this wonderful accomplishment. Everyone Was There, the new collection of short stories out from Elixir Press, written by past contributor Anthony Varallo. Last week, April Hanks, a member of s[r]’s advertising staff, submitted a review to our goodreads.com page. Jennifer Haigh frequently delves into the complexities of family life by placing her characters in difficult situations. The Condition is no exception. This nonlinear novel begins with a young family, the McKotches, on vacation. Fast forward 21 years and the family has been torn apart by illness, divorce, and secrets. With seamless transitions between past and present, The Condition is the story of this family and how they got to their present state. The diagnosis of daughter Gwen with Turner syndrome is the catalyst for the family’s dissolution. Haigh writes about this condition, as well as other biological facts, with ease and effectively incorporates them into the novel without seeming weighty. However, Haigh’s novel defies norms because it is not centered around Gwen’s illness. The novel is more interested in how the family interacts with one another and deals with the circumstances they are in. Family dynamics lie at the heart of this novel. Although the characters all live separate, distant lives, they are connected by their family bond. To some extent, each character is trying to escape their past while simultaneously being pulled back to it. 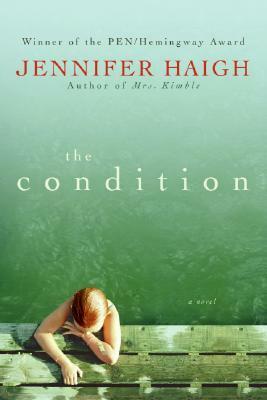 The Condition gives a realistic portrayal of a family whose children have already left home and the struggles involved in keeping that family together. Each chapter is narrated by a different member of the McKotch family and these narrations are woven together with interactions between the characters. Like most of Haigh’s work, not everything is resolved by the end of the novel. Each member of the family continues to remember their history differently based on their perceptions and misconceptions. But this is only appropriate for a novel that reflects real familial interactions. Jennifer Haigh understands the discrete complexities of familial relationships and has crafted a novel that will leave you thinking about your own family. An interview with Jennifer Haigh appeared in s[r] Issue 11. Available on goodreads this week, a review by our content coordinator Bianca Peterson. 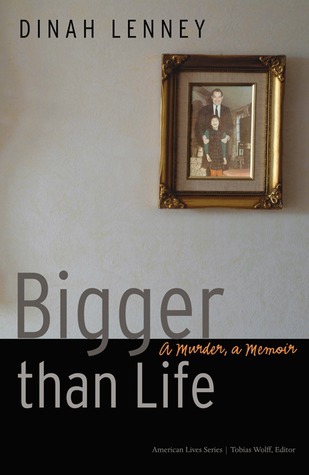 Dinah Lenney’s Bigger Than Life: A Murder, A Memoir is both cleverly written and moving as she reflects on her father’s murder, the aftermath, and the complex relationships between the two father figures in her life—her biological father and her stepfather. Lenney uses a mix of present and past tense to both reflect on the events and take her audience back in time to the moments they occur, allowing readers to experience the events alongside her. 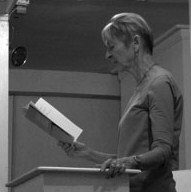 The technique creates an emotional connection between Lenney and her audience as instead of merely baring witness to her past feelings of pain and loss. She begins with a prologue with the subtext “Eliza Wants to Know,” detailing the curiosity of her oldest child and her own anxiety of finally telling her children the truth about their grandfather’s death. From here, the pieces slowly fall into place as Lenney begins to drop details concerning the murder before bringing the audience back in time to the day she first received the phone call from her half-brother. What ultimately makes Lenney’s book so compelling is that it is a story not only about loss, but also the aftermath of loss and the path to healing. Lenney’s story doesn’t come to a close after the full details of her father’s death are revealed, but years later when she finally begins to heal from the ordeal. Furthermore, the novel comes full circle as she returns to the dilemma introduced in the first chapter: telling her children the truth about their grandfather’s death. Moving and highly compelling, Lenney’s strength transfers to the reader as they make the journey with her. Dinah Lenney’s piece Object Parade: Coffee Table appeared in s[r] Issue 5. Each Tuesday we feature audio or video of an SR Contributor reading their work. 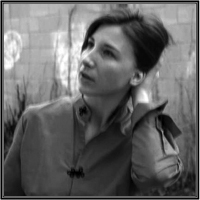 Today we’re proud to feature a vodcast by Caroline Knox. Caroline Knox’s seventh collection, Nine Worthies, appeared from Wave Books in September 2010. Her sixth, Quaker Guns (Wave 2008), received a Recommended Reading Award 2009 from the Massachusetts Center for the Book. The term in the poem “Singing in Yoghurt” refers to the global pop-rock phenomenon of introducing foreign and perhaps not understood words into one’s poetry and song (Henry Hitchings, The Secret Life of Words, Farrar Straus 2008, 337). You can watch the vodcast on our iTunes Channel. It seems to me that there is available to writers a spectrum along which to proceed. At one end is prose, appropriate for essays, news, weather reports and the like. At the other end is poetry. Writers moves back and forth along this spectrum when writing fiction. This is not to say poetry is more or less useful than prose. Rather, they are two separate and distinct tools, much the same as a hammer and a saw. They are different tools designed for different jobs. If an essay is called for, the reader wants certainty; exactly what the words you are now reading are intended to give. If, on the other hand, consolation for some great loss is called for, the reader needs more: a text that lights up fields of reference nowhere alluded to on the page. This calls for magic, for illusion, not lecture. The reader needs to be informed of what cannot be articulated. To be made whole the reader needs to undergo an improved change in mood, a change made more effective if the reader doesn’t know why he or she feels better. Exactly like music. That’s where poetry gets its power to repair; an invisible touch, ghost-like but as real as anything on earth. A reading of the masters, Neruda, Aleixandre, Celan…confirms that a text need not always have a meaning the reader can explicate. To that extent, it informs, as does music, without what we call meaning. It’s just that it takes prose to tell you this. To uncover this hidden idea for a poem the writers each have their own unique method. As for me, the idea for the poem evolves when an idea from a photograph is confronted with an obviously unrelated idea from a text (mythology or science) till the two conflicting ideas are reconciled as a totally new, surprising and workable idea. This method was easy for me to come by. As an attorney I was trained to reconcile conflicting views, to do exactly what a metaphor does for a living. It’s not a mystery that so many practicing lawyers write poetry. See, Off the Record, An Anthology of Poetry by Lawyers, edited by James R. Elkins, Professor of Law, University of West Virginia. its too big. Like can’t tell what Earth looks like if you’re on it. This too goes on and on with whatever comes to mind while I’m reading. But all the time, inside my brain, I’m trying to reconcile what a migrant’s wife has to do with the obviously unrelated ideas on biology suggested by Dr. Thomas. I try to solve the very problem I created. Of course my brain is stymied and jams, creating a self-induced fit similar to the epilepsy studied by the above mentioned Dr. Barker, M.D. But that was my intention from the beginning. Getting the idea is one thing but the finished poem is a long way off. And to get there I abstract. Abstraction and music are soul mates and poetry is nothing if not music. For each poem its opening phrase is stolen shamelessly from Beethoven. He’s the master at breaking open bones and I might as well use him early on in the poem. Then I steal from Mahler whose music does its work where I want my poetry to do its work: the marrow. Perhaps marrow is what it’s all about. Abstraction, since it contradicts the real world, is a striking form of confrontation which jams the brain till it shuts down confused. It befits the marrow to then do the work the reader’s brain cells would ordinarily do. And though what the marrow cells put together is nothing more than a “gut feeling,” with no rational footing, it is enough to refresh the human condition, to make marriages, restore great loses, rally careers. Living in Northern California, I’ve enjoyed a fair number of wine tastings at vineyards in Sonoma and Napa. For many years I preferred white wines to red. The white wines were crisper, sweeter, easier on the palate. The reds were more subtle, more complicated, altogether more work. I’d drink the reds with a sense of duty, the whites with an air of expectation. Over time this changed. These days white wines seem childish, too easy. Bring on those sophisticated red grapes! I can handle them now. Life is complex and multi-layered, meant to be understood and appreciated gradually. Our alcohol should be similarly complex. And our writing too. I often cringe when I read essays or blog posts that I wrote years ago. Those posts–such as when I excoriated the GOP in 2005 for exploiting the decline of Terry Schiavo–were fun to write. The blood boils, the pulse races. But after the adrenaline rush subsided, I’d ruefully realize that my latest missive had added more heat than light. Back then it was acceptable for my writing to be polemical more than polished. Sometimes this was even the point. During this year my writing deepened. It went from white wine to red. I consciously examined the divorce from every angle, coming to terms with it however I could. No pulse racing writing came along that year; instead there was a series of lengthy, slow-to-develop essays. It often seemed that friends were angry or wanted me to be angry, but I resisted this beckoning toward bitterness. These days I wonder if I exaggerated this “beckoning” in my own mind, as a way to give my writing something I could respond to. If so, it worked. Life moves on, sometimes in the most wonderful ways. Four years later I am very happily remarried, whereas four years ago I was convinced I would die alone. I’m still proud of that year’s writing, but from this remove I can’t help but notice its solipsistic nature. My writing that “divorce year” was reportorial, insular, brooding. This interiority was a necessary transition away from the fiery blog posts of yore, but I’m glad those days are over. These days my prose is outward looking, and the reports about my personal life I do draft are light. The beautiful thing about writing–this privilege of stringing words into meaning, and hopefully moving our readers–is that it is capacious enough to cover all stages of our lives. Now my words are more measured, more polished, but just as passionate and hopefully (a bit) more wise. Growing older has its rewards, on the page and in life. Each Tuesday we feature audio or video of an SR Contributor reading their work. Today we’re proud to feature this podcast by Steve De France. Steve De France is a widely published poet, playwright and essayist both in America and in Great Britain. 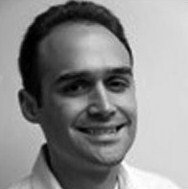 His work has appeared in literary publications in Canada, France, Ireland, Wales, Scotland, India and Australia. He has been nominated for a Pushcart Prize in Poetry in both 2002 and 2003. A few recent publications include The Wallace Stevens Journal, The Mid-American Poetry Review, Ambit, Atlantic, and The Sun. 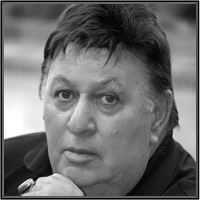 In England he won a Reader’s Award in Orbis Magazine for his poem “Hawks.” In the United States he won the Josh Samuels’ Annual Poetry Competition (2003) for his poem “The Man Who Loved Mermaids.” His play The Killer had its world premier at the Garage Theatre in Long Beach, California (Sept-October 2006). In 1999, he received the Distinguished Alumnus Award from Chapman University for his writing. You can read along with his poem in Issue 5 of Superstition Review. Edna Dapo is an international artist who resides in Scottsdale, AZ. She has been painting for 20 years and has won numerous awards. Her work has been selected for NEW AMERICAN PAINTINGS, Volume 70, and is on the cover of American Art Collector (CA, V4 B2). Dapo holds an MFA in Painting from Savannah College of Art and Design, BFA in Painting from ASU, and a diploma from Art School Luka Sorkocevic in Dubrovnik, Croatia.She is a Department Head of Painting & Drawing at the Phoenix Center for the Arts, and also teaches drawing and life drawing at Mesa Community College. You can view her artwork in issue 5 of Superstition Review. Her exhibit “Stripes, Figures, Drips & Swans” opens First Friday, October 5, 2012, 7-10 p.m.